I’ll be honest, y’all. Yesterday I took a vacation day, and I had BIG plans to get All the Writing done, and it didn’t happen. Turns out I really, really needed a day to recharge my batteries and do nothing other than play Ocarina of Time. Because of that, I didn’t even link to my recap of Sunday’s episode of The Walking Dead. Fail for me. …Deanna was not doing well after losing her son, her husband, after the attack on Alexandria, and then Rick leading a twenty-deep herd right to the city gates. It’s been a rough week for a woman who has essentially been riding out the apocalypse in a gated community. She spent most of the episode walking aimlessly around Alexandria and getting yelled at her drunk son. As she’s processing the horrors she’s seen, Aaron confesses to the group that the Wolves found Alexandria after he and Daryl fell into a Wolves trap while out recruiting, and Aaron lost his bag—which led the Wolves right to Alexandria. Rick shoots Aaron a glance that I had a tough time reading—I’m not sure if it was one of anger, frustration, or understanding. Either way, he says they’ll talk about it more later, so we’ll have to see what comes of Rick and Aaron’s relationship. 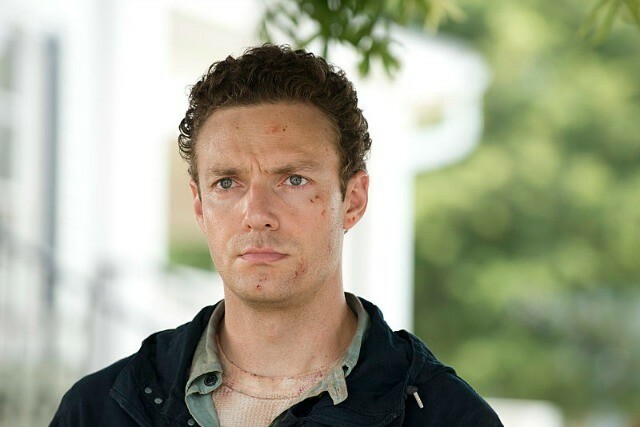 Regardless of Rick’s feelings towards what happened, it’s obvious that Aaron feels personally responsible for all of the death in Alexandria, and is looking for some way to try to make amends…. Read the rest over at The Mary Sue and let me know your thoughts on Sunday’s episode in the comments! Next week is going to be absolutely insane, too. I’m so glad this show is getting back to its roots & making walkers more of a threat again!